WASHINGTON — Veterans Affairs Secretary David Shulkin insists the drama at his department is now in the past. “I think things are clear,” he told reporters Tuesday. “I’m the secretary. I set the agenda. The comments came following his speech to the American Legion’s winter conference, during which the embattled secretary made no mention of a damning inspector general report earlier this month accusing him of ethics violations or the subsequent power struggle within his department that elicited accusations of email hacking and staff subversion. Since then, White House officials have held a series of high-level meetings with VA officials and veterans groups in an effort to stabilize the department. Shulkin said last week he received assurances from Chief of Staff John Kelly that his job is safe and that he would be given the authority he needs to run the department. On Monday, Kelly met with a several veterans groups to respond to concerns about Shulkin’s handling of the controversies and the ensuring internal strife at the massive bureaucracy. Rumors circulating through the veterans community that Shulkin was days away from dismissal turned out unfounded. Several major groups including the Legion, Disabled American Veterans and Veterans of Foreign Wars, have issued statements of support for him in recent days, portraying him as a safeguard against forces working to “privatize” VA services. Shulkin on Tuesday would not say whether he expects more departures — or dismissals — in the weeks ahead. He had said no organization can be successful “if there are people pursuing their own agendas” but declined to speak about VA and White House staffers reportedly fighting with him on a host of policy issues. “I’m not spending my time looking for subversions,” he said, repeating his allegations of insubordination within the department. He also insisted the department has a unified voice on issues of sweeping health care reforms being debated on Capitol Hill. That statement — which he repeated in his speech to the Legionnaires — conflicts with some statements from members of President Donald Trump’s administration, who have been pushing to give veterans broader access to private-sector health care. Supporters of that plan have said it would provide more choice for veterans, who have seen problems with wait times and access at VA hospitals in recent years. Critics say oit privatizes the responsibilities of the government by dismantling VA services and offering vouchers for veterans to find their own health care solutions. But Shulkin insists his statements on the issue represent a compromise between the two factions and, perhaps more importantly, reflect the White House’s real goals for VA’s future. 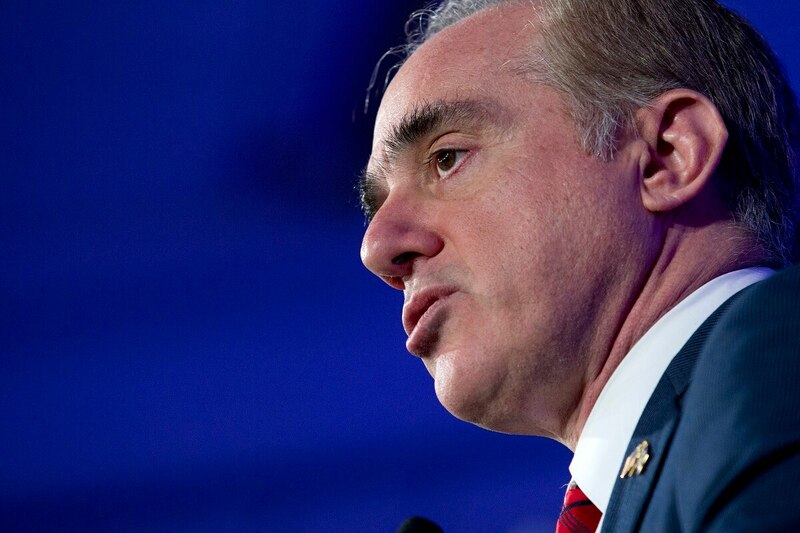 Reforming VA’s health care system (and giving veterans easier access to private-sector care) was a core promise of Trump’s presidential campaign, and was one of the primary jobs given to Shulkin when he was nominated to take over as the new VA secretary. But lawmakers have been frustrated with what they see as mixed messages from Shulkin on the issue in recent months, with the department formally endorsing three competing versions of legislation without identifying a clear favorite. 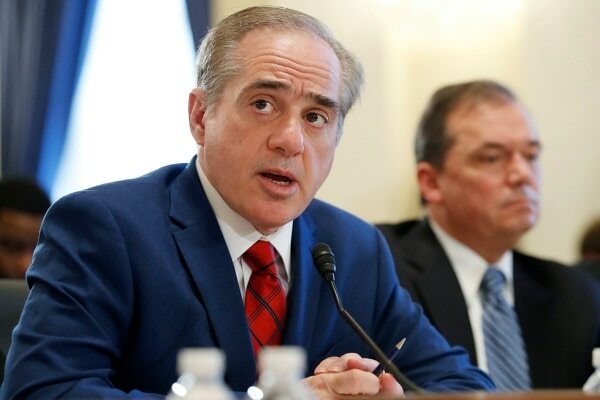 Now, congressional leaders are hoping Shulkin can put the recent controversies behind him and help them move ahead with reforms, especially since money for the VA’s primary outside care program is set to run out of funding later this spring. On Tuesday, House Veterans’ Affairs Committee Chairman Phil Roe, R-Tennessee, said he is optimistic that all sides are close to a solution. Senate Veterans’ Affairs Committee ranking member Jon Tester, D-Montana, said the process would gather speed if Shulkin would back legislation already passed by his committee. Tester also condemned some of Shulkin’s actions unveiled in the IG report — which included improperly accepting Wimbledon tennis tournament tickets from an English businessman and lying about ethics officials’ approval of a 10-day overseas trip — and promised to closely watch what reforms the secretary enacts in coming weeks. “From my perspective, he used his one ‘get out of jail free’ card,” Tester said. “We can’t see that again. It would be bad.